Cleaning your car interior is not difficult. Alba Automotive’s cleaning kit was specially developed to optimally work with our products. You can clean your car interior yourself, and you don’t need a lot of time for it. For example, you can do it after washing or vacuuming the car. 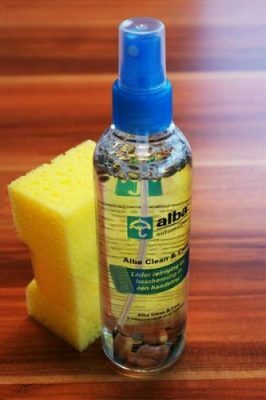 Even if you don’t have a customised leather car interior by Alba Automotive, you can still use our cleaning kit for your (partial) leather factory interior. The cleaning kits are not suitable for cloth car interiors. Do you want to clean your car interior and keep it in optimal condition? Then order a cleaning kit by Alba Automotive to ensure long-lasting, good-looking upholstery. And if you prefer not to deal with the cleaning yourself but want to have your interior professionally cleaned, you can always make an appointment with us.